We appreciate the opportunity to provide you a quote. In order to give you the most accurate screen printing and embroidery pricing possible, please complete the form below. Minimums: 12 pieces for screen printing. No minimums for embroidery. When looking for screen printed and embroidered sportswear, there are literally thousands of styles from which to choose. To make your job easier, we've assembled this Buyer’s Guide featuring our most popular items. 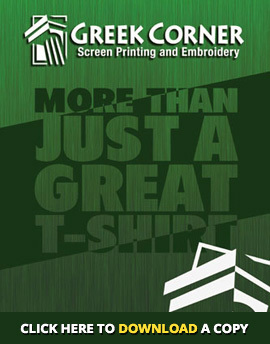 Everything listed can either be screen printed or embroidered with your logo or design. Once you narrow down your choices, contact us and we’ll help fine-tune your selection. Of course, if you don’t see something you want, we’ll help you find it.